Peculiarly stretched on the slopes of the knolls descending to the sea, Vladivostok is one of the most picturesque and attractive cities in Russia. The idea of it as of deserted, covered with ice military outpost at the end of the world, has long passed into oblivion. 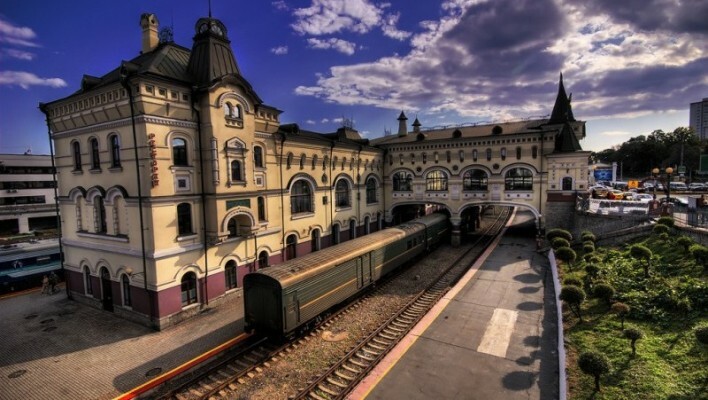 Today it is a modern city that draws attention of travelers from all over the world by its unique nature, lovely sceneries, loose military-historical monuments and unique shade of sea romance. Vladivostok is a very special city. Founded on the junction of land and sea, Europe and Asia, it is strikingly different from most Russian cities. First of all, it is notable for unique geographical location and specific relief. It's no wonder that Vladivostok is called a solid observation platform: it is the breathtaking panoramas opening from the height of the hills that constitute the main attraction of the Primorsky Krai's capital. 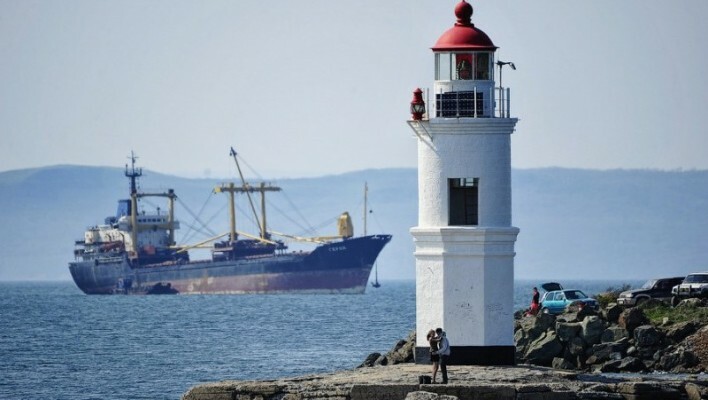 Another sight that makes Vladivostok inimitable is the port, located on the picturesque banks of the Zolotoy Rog Bay. It is the full-blown town on the water that lives its own life: having returned from the voyages, ocean vessels rest at their moorings, white-winged yachts slowly rock on the waves, cranes and winches roar. However, the port of Vladivostok is the most charming in the evening, when it is illuminated with a myriad emerald lights, switched on boats, moorages and harbor cranes. In addition, the sea offers fabulous views of the city, as if soaring out of the water: hundreds of colorful houses clinging to the slopes of the hills, the knolls silhouetted in the light morning mist - all these seem rather drawn than real. 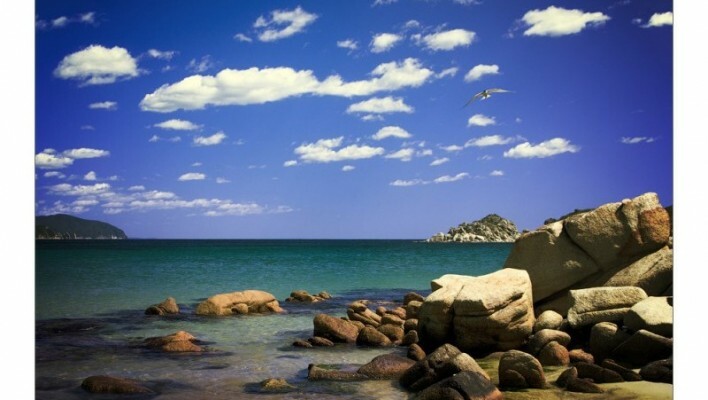 Vladivostok's mind-boggling nature makes the city even more attractive for tourists. It is absolutely unique and can't be found in any other part of the word. Incredibly beautiful sea views, blue-and-emerald bays, mysterious mountains and ridges, protected areas where rare animals live and Red Book plants grow... And on numerous islands, scattered as if beads in the Gulf of Peter the Great, one can find nooks of virgin nature untouched by civilization. Amazing variety of natural gifts, concentrated in Vladivostok and the surrounding area, makes it a great place for summer recreation and health improvement, and also attracts people interested in the sea and underwater tourism. In principle, Vladivostok differs from other Russian cities by the special mentality of local residents. Being open and friendly, they never lose their unique sense of humor and confidence in the future, and their smiles radiate an irresistible thirst for life. It is people who make this extraordinary city alive and extremely dynamic. Vladivostok's architecture is also unique. Even though it predominantly consists of Soviet buildings, peculiarly piled up on the numerous knolls, they look surprisingly organic against the background of the unusual urban landscape. And at the downtown, true architectural masterpieces stand - ancient mansions and fabulous gothic cathedrals. Vladivostok is famous for being the city of monuments and statues: these are seen here in unbelievable numbers. A trip to the seaside capital offers an opportunity to discover its original cuisine, which is an absolutely unique mixture of European and Asian culinary traditions. Stunning variety of seafood delicacies, unusual ingredients, various spices, original serving and incredible range of dishes' flavors make the local cuisine an important part of Vladivostok's tourist attractiveness. Over time, the Primorye capital renovates and becomes ever more beautiful. The city stands on the threshold of a new life, where two unique cable-braced bridges - across the Zolotoy Rog Bay and to the Russky Island - lead. 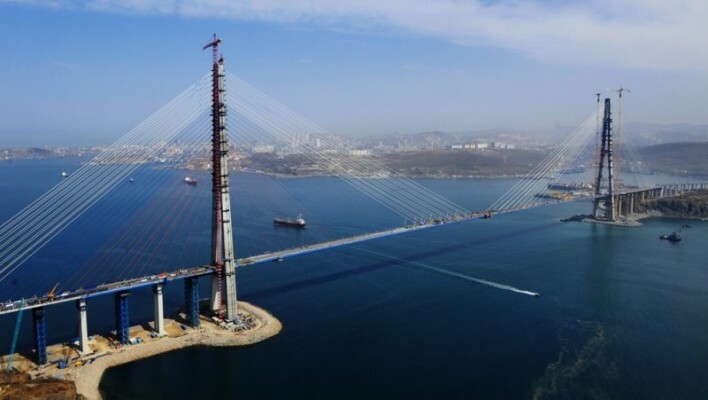 They were built along with other infrastructure facilities for the summit of the Asia-Pacific Region, which will be hosted by Vladivostok in autumn 2012. This important event confirms once again the international importance of the Russian port city, increasing its attractiveness to travelers at times. 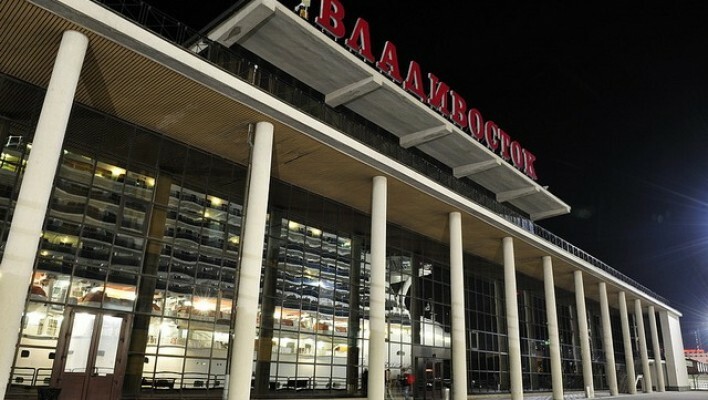 And one more final wish to the travelers - coming to Vladivostok, be ready to experience delight all the time: from the fantastic views of the Zolotoy Rog Bay and the setting sun, from the heady sea breeze and the hills covered with lush verdure, from unparalleled hospitality of local people and the abundance of seafood on the table. And most importantly, let this city surprise you - for it has everything necessary for that! In 2019 Vladivostok celebrates its 159th anniversary of its foundation upon coasts of Peter the Great Bay and Golden Horn Bay. This year, the festivities are divided into two parts: the first one – official – will be held on July 2, and the second one – public – on July 5. On July 2, the commemorational festivities will take place near monuments to city’s founders and its defenders. On July 5, Svetlanskaya Street will host theatrical parade that will conclude on the main square. More than 60 000 people took part in it last year. After, Bortov Za Vlast Sovetov Square will welcome numerous musical and artistic platforms. The concert and fireworks show will be held in the evening. On last Sunday of July, Vladivostok traditionally hosts Russian Federation Navy Day. It is one of the most popular festivals in the city, which attracts hundreds of locals and tourists alike. 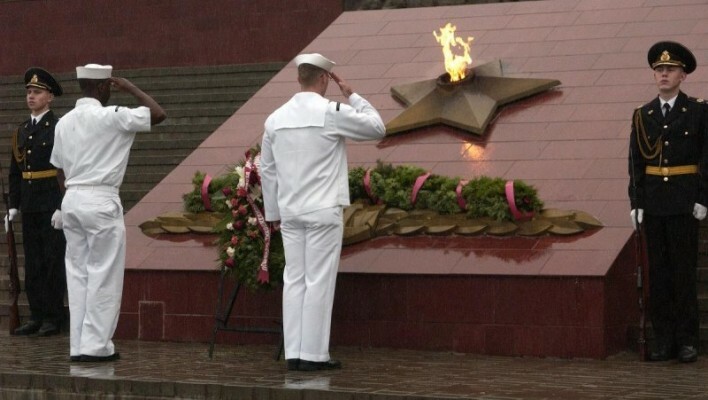 The holiday starts with commemorational festivities near memorial “Military Glory of Pacific Fleet”. Then the epicenter moves to Amur Bay where the parade of Pacific Fleet takes place. It counts with almost all types of watercrafts. Then the festivities move to fleet water station, where theatrical performances of sailors and warships are held. Therefore the troops showcase their abilities and preparation for war challenges. The festival is concluded with concert and fireworks show. The musical monument to the great poet, singer and actor Vladimir Vysotsky is one of the newest point of interest in Vladivostok. It was installed in summer 2013 in a park in front of Gorky Theater, near the Academy of Arts.